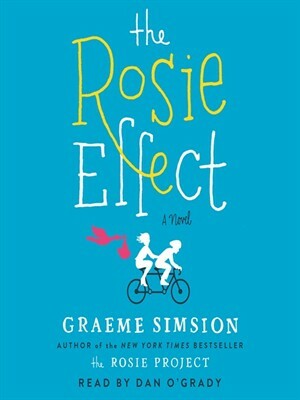 The Rosie Effect is the sequel to last year’s bestseller, The Rosie Project, which I reviewed here. In this installment, Don Tillman and Rosie are newlyweds. 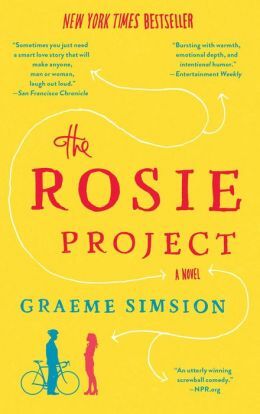 As the novel opens, Rosie announces that she is pregnant. Which totally throws Don for a loop because it wasn’t part of The Plan, at least not yet. Apparently Rosie decided to throw caution to the wind and get pregnant without telling Don her intentions. Probably not a great thing to do to someone who thrives on rigid structure – plus, Rosie is in the middle of writing her thesis, and frankly, the timing of a pregnancy just in the midst of that seems … er, ill-conceived.